Goblin Sharpshooter doesn't untap during your untap step. 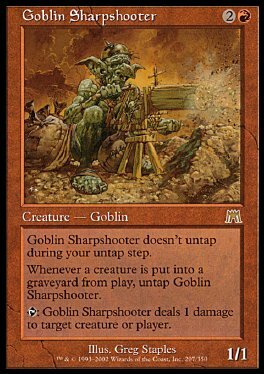 Whenever a creature is put into a graveyard from play, untap Goblin Sharpshooter. T Goblin Sharpshooter deals 1 damage to target creature or player.